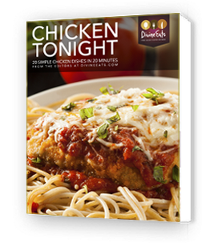 Prize: Just enter your email for getting a free copy of Chicken Tonight recipe book and a chance to win the $1000 jackpot! What you must do to enter: Sign up with your email. Statistics: This contest was opened by 164 and entered by 10 ContestChest.com members. 6% of those who opened the contest, entered it.